The Department of Trade and Industry (dti) gave a presentation outlining the current process and status of the Special Economic Zones (SEZs), which were areas targeted as a key instrument for re-industrialisation. The SEZ policy was intended to give a clear framework on the development, operations and management of SEZs. Proposed Regulations would be gazetted by the end of October 2014, followed by 30 days for public comment, and there had been quite wide stakeholder consultation already, and consideration by the Advisory Board. The Minister could determine and implement support measures, including incentive schemes, for operators and businesses operating within SEZs. These included, for example, a lower Corporate Tax rate of 15% for qualifying companies, an employee incentive for employees earning lower salaries, and an accelerated depreciation allowance for buildings in a SEZ. The focus, state of preparedness and location of each of the SEZs was outlined. It was initially planned that agro-processing would be the key opportunity in most regions, but the decline in primary agricultural production was a major hindrance, leading to other opportunities being investigated. Members raised questions around the Samsung investment in the Dube Trade Zone, particularly whether it would be beneficial, since three factories that were likely to close, leading to job losses, and asked what alternatives had been proposed. They questioned the benefit of the tax reductions, compared to what the investor would acquire, and emphasised that SEZs should not have a single focus, to spread risk. Questions were also asked on platinum group metals, and the importance of foreign direct investments was discussed, s well the processes informing the choice of sector. The dti then outlined its mandate and initiatives for combating illegal and non-compliant imports. South Africa was one of the top destinations for illegally imported goods, including counterfeits and pirated goods. It was important to enforce anti-piracy measures to protect intellectual property, innovation, protect the economy and support the 4.11% contribution to the GDP, and 4.08% support to employment by the South African copyright based industries, and it was noted that they needed still further protection. There were several statutes offering remedies, but the Copyright Act needed to be amended, and the Counterfeit Goods Act also, to tighten the penalties and enforcement processes. A number of anti-piracy campaigns were held throughout South Africa, as consumer education formed one important facet of the strategy. The Committee was appreciative of the Department’s efforts, but said there was quite considerable work still to be done. Members asked if it was possible to fast-track the legislative changes, raised concerns that the agencies responsible for enforcement of the legislation on piracy and counterfeiting were not adequately resourced, that bribery was prevalent, and prosecutions should be stringently pursued. Members also asked that, in view of the fact that counterfeit trade was not likely to be brought completely to a halt, the dti should perhaps consider what levels might be considered acceptable, and also asked how the dti handled large retailers heavily discounting goods. The Department’s next briefing outlined the efforts to combat illegal and non-compliant imports, noting that it advocated that any trade facilitation should also comprise a strong bias towards safeguarding South African manufacturing from unfair trade practices. NRCS had established operational capacity to enforce at 19 ports of entry with neighbouring countries. SARS’s real-time electronic Customs Modernisation Programme was being implemented, which included an electronic reference pricing system and applied specific risk assessments to determine which goods should be monitored (high risk) and how the search and seizure would run. There were attempts to maximise coordination of state agencies at the ports of entry. Dti participated in the Customs Operations Key Industries Forum (CO-KIF), which was a platform for strengthened; aligned policy and programmes, concentrating on trade facilitation; voluntary compliance and attention to customs and excise fraud issues. Over the last three years, over R1 billion of illegal or substandard goods had. SARS had processed almost 39 000 import declarations and more than 55 000 export declarations since introduction of the new system. This presentation was supplemented with another presentation from the South African Revenue Service (SARS), which noted that Customs had moved away from the more traditional gatekeeper role, where all goods were checked, to closer use of risk management, directing more resources to areas which were judged, on the basis of country of origin, export and goods, to be high risk. Self-declaration played an important part and, coupled with more stringent penalties were also rewards. SARS had been focusing on the illicit trade of tobacco for many years, as it was estimated that 15 million cigarettes were sold illegally in the country each day, compounded by the ban on Zimbabwean tobacco sales overseas which resulted in these goods being smuggled into South Africa. The search and seizure operations were outlined. SARS also spoke to the risk of undervalued imports, which caused loss to the fiscus, local industry and job creation, and this issue was being discussed at BRICS, in view of China’s legislation that did not permit prosecution of its nationals who undervalued goods, and its engagements on the textile industry in particular. Members discussed the proliferation of Chinese malls around the country, asked what SARS and Customs were doing to make sure these malls were properly investigated, and what had been the result, and also expanded in their questions on the illicit tobacco trade, and the almost daily breach of SADC protocols. The Chairperson noted the Committee’s condolences on the passing of former Committee Member, Dr M Oriani-Ambrosini. Mr Lionel October, Director-General, Department of Trade and Industry, said that the Department of Trade and Industry (dti or the Department) had realised that a major programme of re-industrialisation was needed to counter the current ‘low growth track’ of the economy. Special Economic Zones (SEZs) were targeted as a key instrument for re-industrialisation. One month ago, Cabinet had designated the Dube Trade Zone as the next SEZ, and a Samsung investment had already been secured. Ms Susan Mangole, Acting Director-General: Incentive Development and Administration, dti, said the policy aimed to position SEZs as effective tools for industrial development. The policy was flexible and vigorous enough to be responsive to the development needs of all regions, as well as the needs of investors and other key role players. The SEZ policy was introduced to provide a clear framework on the development, operations and management of SEZs, including addressing challenges of the former Industrial Development Zones (IDZs). The SEZ policy had an expanded strategic focus to cover diverse regional needs. Its framework was clear, predictable and would support implementation of the Industrial Policy Action Plan (IPAP), the National Development Plan (NDP) and the New Growth Path (NGP). The policy included the development of a predictable financing framework. SEZ policy objectives promoted beneficiation and value addition to minerals and natural resources, attracted relevant foreign and domestic direct investments, increased value added production and contributed to balanced industrial development. Key aspects of the SEZ policy included the institutional framework where the Minister appointed the Advisory Board; this process was facilitated by the Department. Other aspects included governance arrangements, in terms of ownership, operators, oversight, co-ordination and the setting up of a SEZ fund with a mix of financing options in order to encourage sound zone development. The policy included support systems that went beyond provisioning of world class physical infrastructure. This included human resource development, business incubation and technology. There was also a one stop shop service and facility at each SEZ to offer globally competitive value-added services to investors. The SEZ policy implementation framework required implementation protocols between various agencies. The policy would be reviewed by the Minister and monitored by the National Advisory Board. Measures were put in place to track, evaluate and report on performance of the SEZs. Ms Mangole gave an overview of the status of the policy. The proposed Regulations would be gazetted by the end of October 2014, followed by 30 days for public comment, with consideration and consultations with the Advisory Board. The SEZ Act stated the Minister could determine and implement support measures, including incentive schemes for operators, and businesses operating within SEZs. Some of the incentives and measures included a lower corporate tax rate of 15% for qualifying companies, an employee incentive for employees earning lower salaries, and an accelerated depreciation allowance for buildings in a SEZ. Consultations were under way with relevant IDZs and provinces to agree on a suitable approach to transition IDZs to SEZs within three years. Mr Alfred Tau, Chief Director: Regional Development, dti, gave an overview of the progress on the feasibility studies, shown by province, region, the industrial or economic focus and the stage reached. In the Eastern Cape (EC), the SEZ was in Mthatha, with a focus on agro-processing, and the feasibility study was in the business planning stage. Limpopo had two SEZ regions, Tubatse and Musina, and the focus was on petrochemicals, trade hubs, logistics and platinum group metals (PGMs). The Western Cape region SEZ was in Atlantis, and the focus was on renewable energy. Initially, it was planned that agro-processing would be the key opportunity in most regions, but the decline in primary agricultural production was a major hindrance. Mr October added that the Coega IDZ had just launched its truck assembly plant, which was made possible by a very large investment by China and there was intensive work in Richards Bay and Saldanha on oil and gas. Mr D Macpherson (DA) said the Samsung investment was going to cause the closure of three electronic factories in the Dube Trade Zone, and he asked if SEZs were not supposed to facilitate new businesses as opposed to taking away existing manufacturers. The Corporate Tax paid by the three manufacturers was 28%, while Samsung would only be paying 15%. 300 jobs would be lost, whereas Samsung was only creating 150 jobs. This so-called “investment” would thus lead to tax revenue loss and job losses, which was surely not the intention behind the SEZs. Mr G Hill-Lewis (DA) said the three factories facing closure in the Dube Trade Zone had written to the Department and argued they were not informed and consulted about the Samsung investment. The Samsung investment was being trumpeted as a huge success for the SEZ policy, but it seemed more like a disaster. He agreed that the purpose of the SEZ Act was to ensure that new industries were incentivised to locate in SEZs, and procedures were set out in the legislation to prescribe how businesses applied and received permission to locate in SEZs. He asked if the procedure was followed in this case, and, if so, how it could have resulted in the closure of three factories. Mr October said foreign direct investments were a difficult issue, but the Government had given dti a mandate to attract foreign direct investments. Samsung was one (amongst many others) that South Africa had been able to attract. The dti had met with the three factories, and was engaging with Samsung to see if there were any sub-contracts for these factories to secure. The Department had a range of incentives on which it would engage with sectors, both for domestic manufacturing and foreign direct investments. It was important not to view this as a ‘win-loose’ situation, because Samsung and the three factories all had a place in the economy. The Department was committed to assisting the three factories, by sub-contracts as suggested, and with investments to broaden their product range. Competition in the market place was good for the economy, because it raised productivity and efficiency levels. Samsung aimed to grow and to use South Africa as the export platform for the whole continent. There was a possibility of the manufacturing of Samsung tablets in the country, and South Africa could become a major hub for the enhancement of electronic equipment. Adv A Alberts (FF+) asked if the SEZs currently undergoing feasibility studies came about through consultation with communities or local authorities, or were informed by the dti’s own research. The SEZ in Upington in the Northern Cape was a positive step, but the middle region of the Northern Cape was probably one of the poorest areas in the country. He asked if the Department had plans to focus on that area and, if so, asked what the nature of those plans was. He asked if the Department had outlined all incentives and if it would be possible to devise new incentives as the programme progressed. Mr October said six of the seven renewable-solar investors in the renewable energy programme had been allocated to the Northern Cape and that was why the SEZ had been established there. The Department was open to investigating other areas in the Northern Cape because, after 150 years of mining, the area was completely depleted, as a result of disregard of natural resources and the lack of diversification and beneficiation. At the start of the SEZ programme, two years previously, there had been intensive negotiations with the provinces. These started with a list of about 25 proposed SEZs, scaled down after consultation to the current 10. However, this was the first phase and the Department was open to expanding the programme. In some countries, entire towns were SEZs and in some senses South Africa was still small scale. Ms Mangole said dti had presented the full list of incentives for the SEZs, but investors were free to apply for other dti-driven incentives. Mr F Shivambu (EEF) said he doubted the wisdom of having SEZs focused on only one sector of the economy, because if that sector collapsed, the whole SEZ collapsed. He asked what the objectives were in terms of PGMs, because platinum was not accessible in South Africa. He asked where it would be sourced, and how this would be done strategically. He asked why consideration was not being given to extracting PGMs, pointing out that this could be incentivised by investing in industrial and beneficiation processes. There should be less reliance on foreign direct investments. Specific local participators in the new industries needed to be identified. Mr October agreed that it would be a mistake to have a mono-sector approach because diversification was very important. The aim was to highlight the core sectors that the Department was driving. The feasibility studies could show one direction, but once the conditions for manufacturing were created, market forces often opened up other opportunities. The Department was looking into PGMs and planned to have engagements with mining houses to negotiate discounted prices for the platinum sector. A pilot programme was to be launched in Kroonstad where 34 houses would be powered by fuel cells. There was also a big market for Telkom cellular phone masts in both South Africa and the continent, so a massive industry could be created. Another sector related to catalytic converters, and currently South Africa handled about 12% of the world’s production of catalytic converters, which was the main use for platinum. If a discount could be negotiated on the world price of PGMs, much higher levels of production could be achieved. Mr October noted that investigations into the non-performance of IDZs had showed clearly there was no difference whether companies were in or outside an IDZ, with no incentives that warranted participation. In other countries, companies did not even pay tax in an IDZ, and the Department had lobbied very hard to get special tax incentives for IDZs. The policy would attract domestic and foreign direct investments, but there should be a differential. It would not make economic sense to extend the tax rebate indiscriminately. Mr C Mathale (ANC) echoed Mr Shivambu’s concerns and said that diversification was an important consideration. He then asked how efficient the structures of the Advisory Board and the Secretariat were, pointing out that government departments were notoriously slow in terms of implementation. The impact of the SEZs should be tangible, and they should be implemented in previously depressed areas. Ms Mangole said each SEZ would have its own Advisory Board, as well as there being a National Advisory Board to advise the Minister. The one-stop service would be located at each SEZ to make sure that decision-making was much quicker. Dr Z Luyenge (ANC) said he was happy about the SEZ in Mthatha and asked for specific details on the stage that this process had reached, the role players involved and time frames for implementation. Mr Tau said the work was a joint project between the dti and the provinces, and was coordinated through Ministers and Members of Executive Councils (MinMEC). Provincial steering committees were headed either by the Head of department (HOD), or Chief Executive Officer (CEO) of the development agency, to drive implementation. Local municipalities participated. Currently, the programme was in the decision making process to determine the starting point. Provincial government was briefed in the last week. More details would be provided to the Committee later. Mr B Mkongi (ANC) asked what informed the particular choice of sector. The challenges in Atlantis warranted intervention, especially in terms of unemployment. A large part of the workforce in the Western Cape had been negatively affected by the waning clothing industry, and he asked what the plans of the Department were to revive this industry, and also how dti planned to achieve a better balance in this industry, as it was currently largely controlled by white people. He asked if the feasibility studies had clearly indicated who would benefit most from the SEZs, and urged that in the Western Cape in particular, it was important that the economic benefits should be more balanced racially. Mr Tau said different factors informed the choice of sector. The endowment of the area, engagement with investors and the availability of human capital all played a role. It was important to understand that the current work was catalytic in nature and it was intended to breed more possibilities. 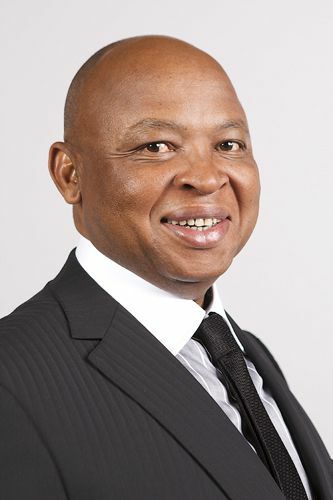 Mr October added that after intensive negotiations with the province, Atlantis was identified as the SEZ, because it was an economically depressed area. The clothing and textile sector in the Western Cape was still the most labour intensive sector in the province. SEZs should be seen as one tool in a number of measures to drive industrialisation. Four years ago, a dedicated clothing and textile incentive scheme was developed to revive the clothing industry. That industry had since stabilised and slight growth had resulted. He agreed that it was necessary to change the racial composition of the ownership, and although the industry was mainly driven by black people, they had virtually zero percentage ownership. The Department would report on the progress at a later stage. The Minister had also launched the Black Industrialists Development Programme that would really focus on black industrialisation in the current period. Mr Tau said in the long term, the beneficiation possibilities were specific to the host region, and they could include communities through job creation and skills development, local and foreign investors, as well as local companies through service provisions. Ms Zodwa Ntuli, Deputy Director-General: Consumer and Corporate Regulation Division, dti, started her presentation by showing photographs of the advertisements across various media, and said that the campaigns were realised because the artists featured in the campaigns volunteered their services freely to the Department, to promote awareness on piracy. She explained that piracy was the unauthorised copying of an original recording for profit. Pirated products would often have a different package than the original product and would often take the form of new compilations. Counterfeiting, on the other hand, was copying and packaging as closely as possible to the original product, by using trademarks and labeling that would mislead consumers into believing that they were purchasing original products. South Africa was one of the top destinations for illegally imported goods, including counterfeits and pirated goods. Enforcement was done through the Counterfeit Goods Act, Customs and Excise Act and Criminal Procedure Act. Both civil and criminal remedies were available, and the State pursued criminal prosecution. The importance of the anti-piracy strategy related to Intellectual Property (IP), encouraging innovation, protecting the economy and to protecting innovation. She pointed out that the South African copyright-based industries’ contribution to the GDP was 4.11%, and its contribution to employment was 4.08%. Nevertheless studies showed that the overall contribution of the copyright-based industries was substantial enough to stimulate increased attention by the South African policy makers. Ms Ntuli talked to the interventions of the Department, which were mainly based on engagement with music artists. These intervention strategies included education and awareness, promotion of local products, supporting the development of local industries and increased inspections and arrests. The Copyright Amendment Act was on the Parliamentary programme for 2014/2015. The Counterfeit Goods Act needed to be amended to address, in particular, shortcomings on the penalties and enforcement processes. She said that the dti undertook several steps to reduce demand for pirated goods and to improve enforcement. Strategies included training of magistrates, prosecutors, SAPS and SARS officials, which was ongoing. There were activations in main hotspots for counterfeited and pirated goods, including main intersections and multimedia campaign television and radio adverts. Anti-piracy campaigns were held in Western Cape, Bitou Municipality, Heilbron and Sasolburg in Free State, Kliptown, Sammy Marks Pretoria, Boksburg and State Theatre Pretoria in Gauteng. The formalisation sessions in all provinces reached 2 930 artists directly and campaigns were done in collaboration with the Departments of Arts and Culture, Communications, Home Affairs; Finance and the Department of Police. Joint statistics from the Companies and Intellectual Properties Commission (CIPC), SARS and SAPS showed continued effort, but the conviction and use of civil remedies to recover were still not good. SARS had seized approximately R232 million worth in counterfeited goods up to the 2012/13 financial year. SAPS statistics showed arrests, convictions and guilty verdicts for the 2012/13 financial year, and enforcement actions were taken by the relevant entities during May 2014. The Department had developed a music strategy and had integrated the creative industry as part of the Industrial Policy Action Plan (IPAP). Industry required access to international markets to increase exports, but, despite demand in the United States and the European Union (EU), exports remained low. She explained that government had a responsibility to protect IP in order to enhance innovation and contribution to the economy. The impact of counterfeits and pirated goods on local artists was severe, and vulnerable innovators and entrepreneurs required support to innovate and register their IP. An important factor was the need to discourage demand from consumers for pirated and counterfeited products. The Chairperson said this was an interesting presentation and although it was clear that more work was needed, the Department was making good strides. Mr Mkongi said the good work of the Department should be applauded. He asked how rapidly the loopholes in the legislation could be addressed, because they undermined the work. He referred to the raids by SAPS and he asked how xenophobic targeting could be avoided. Education and training should also be focused on the SAPS, because officials accepting bribes were a cause of serious concern and he asked how it could be addressed. Ms Ntuli said the Department was mindful of the possible xenophobic connotations, but the fact was that in the raids that had been conducted, it was found that illegal immigrants were increasingly trading in pirated and counterfeited goods, although South Africans were not excluded. It did not exclude South Africans, but the Department, in its training, did sensitise the SARS, SAPS and CIPC to xenophobia concerns. The law should not be enforced in a discriminatory way, and must address the problem rather than the individual. Bribes, as the public also pointed out, had always been a concern. Government was trying to address this through the Presidential Hotline, to report corruption, and the Department also worked with the Southern African Federation against Copyright (SAFACT). SAFACT had a crime line, piloted through Talk Radio 702, where any person or organisation suspected of criminal activities could be reported anonymously. Adv Alberts asked how quickly the amendments in the Copyright Act could be passed, and asked whether, in light of the whole review of the intellectual property system, this could be fast-tracked. Ms Ntuli said there were very few areas in the Counterfeit Goods Act that required amendment, and the amendments were mainly intended to allow for an easier process to pursue matters in the courts. The Minister designated about 18 depots in the country to be used for the safekeeping of seized and confiscated goods but there were currently challenges around the processes of the identification of those goods and witnessing, if the case went to trial. In its review of the IP system, the Department had singled out the Copyright Act, but there was nothing that prevented Parliament from amending both the Acts. Dr Luyenge asked if the Department had a list that prioritised the identified loopholes in the legislation, so that the most urgent could be fast-tracked by Parliament. Dr Luyenge asked whether there was any mechanism that formalised the registration of DJs. He asked whether the artists (or their families, if they were deceased) benefited financially from the remixes of their music as produced by DJs. He referred to the ‘bogus’ record producers who offered the 80/20 beneficiation deal to artists, or recorded music, but where the music would end up being sold on street corners. Ms Ntuli said DJs did pay royalties and those that did not pay were probably not registered at the relevant bodies. There were a number of fake recording companies, and this area could be addressed through the proposed amendments to the Copyright Act. Ms M Tsopo (ANC) proposed that dti should give a more detailed update of what was happening in all provinces. She asked what other role players in Government were involved in this programme, because it was of national concern. The Committee should already have received some statistics from SARS and SAPS on the 2013/14 financial year and, although the presentation was by dti, other role players should also be present so that the Committee could get the whole picture. Ms Ntuli said the statistics would be updated and she apologised for the oversight. Mr Macpherson said this issue spoke to the capacity of the entity tasked with enforcing the regulations. SAPS did not have the ability or the resources to enforce the legislation. There was no country that had yet been able to beat piracy or counterfeiting, because it was such a lucrative business. He asked at what point a realistic “cap” would be set for what was deemed to be an acceptable level, seeing that the problem would never be completely stopped. The focus should be on the enforcement of the legislation and, whether this handled by SAPS or a new enforcement agency, it needed to be dealt with exclusively. He asked how large retail outlets contributed to the problem, because some of the ‘brand items’ were severely discounted at some of the stores. Ms Ntuli said the capacity to enforce in this area was indeed a challenge, but there were even greater problems around the monitoring of the points of entry into the country. Dti fully agreed that CIPC needed the capacity to enforce properly. The Department engaged with entities, because it was important to look at the bigger outlets to understand the parameters around what was allowed in terms of fair trading and discounts, and it could then address what could be an acceptable cap to be set on practices. Mr Garth Strachan, Deputy Director-General: Industrial Policy Development, dti, said customs fraud and illegal imports were key components of the broader illicit economy. These eroded the country’s manufacturing capacity, competitiveness, its revenue base, as well as legitimate formal employment creation. The dti advocated effective policy interventions; specifically that that trade facilitation should include a strong element of safeguarding the South African manufacturing sector from unfair trade practices. SARS had a constitutional mandate for customs, and the dti played only a supportive role in this regard. The operational mandate of dti on combating of imports was limited to the National Regulator for Compulsory Specifications (NRCS). There remained a strong emphasis on regulating compulsory specifications in support of industrial development. The NRCS was tasked with the administration of technical regulations, including compulsory specifications to safeguard human health, safety and environmental health. Dti, through the NRCS, developed and administered compliance with compulsory specifications. NRCS worked with SARS to ensure compliance. Working closely with other government agencies, especially Customs, the NRCS conducted port and post border checks and inspections, where non-complaint goods were confiscated and destroyed. Mr Strachan noted that the challenges included the volume of inspections required for all outlets across the country selling NRCS regulated products. There was also an increase in industry and consumer complaints with respect to non-compliant products. The border enforcement approach meant the locking-out of non-compliant products at ports of entry, in addition to enforcement and inspection at manufacturers’ premises. NRCS had established operational capacity to enforce at 19 ports of entry: five sea ports, two airports and twelve inland ports of entry bordering Botswana, Zimbabwe, Namibia, Mozambique, Swaziland and Lesotho. Owing to the wide scope of products covered by the NRCS mandate, and its limited resources, the intensity of the inspections was based on risk classifications of high, medium and low, and the profiles were drawn on risk factors that included the country of origin, company or importer, and product. The model was subject to refinement and there was an intention of dedicating more resources to the high risk areas. SARS had implemented a Customs Modernisation Programme, which included a real-time electronic system, an electronic reference pricing system, and risk engine for search and seizure. There was ongoing engagement with the Port of Entry Control Centre (PECC) in a pilot project to maximise coordination of state agencies at the ports of entry. Dti participated in the Customs Operations Key Industries Forum (CO-KIF), which was a platform for strengthened; aligned policy and programmes to enhance trade facilitation; voluntary compliance and attention to customs and excise fraud issues. Mr Strachan noted that over the last three years, R1 billion worth of illegal or substandard goods had been confiscated. This must be seen against the SARS Modernisation Programme and increased work by the NRCS. SARS implemented its new automated customs management system in August 2013, and reported that the system had proved successful, with close to 39 000 import declarations and more than 55 000 export declarations processed since its introduction. IPAP was focused on ‘locking out’ non-compliant products and ‘locking in’ compliant manufactured products. This would be accomplished through closer and more detailed cooperation between the Customs Division of SARS, dti, NRCS, the Department of Justice and other multi-lateral forums. Scaled-up targeted port and post port inspections and raids were critical. Prosecutions should be pursued. Mr Gene Ravele, Chief Officer: Enforcement, SARS, said the cornerstone of the operation of SARS was its compliance model, based on education, service and enforcement. Education broadened the tax base by educating the public about their tax obligations. Service focused on making compliance easier for taxpayers, by providing a quality service and reducing the administrative burden. Enforcement deterred and caught non-compliant taxpayers through credible, legitimate and firm enforcement, with appropriate penalties and sanctions which were aimed at discouraging tax evasion. He noted that the Customs service had moved away from the more traditional role of gatekeeper (a regime of 100% checks) to a risk management style (identification of potentially high-risk areas, with resources being directed toward these areas and minimal intervention in identified low-risk areas). Fundamental principles for Customs were a drive towards process automation of the norm, and manual processing of exception. Customs’ risk-based role and value chain provided for a balance between regulatory control and trade facilitation, based on a consultative approach that assessed the integrity of trader systems and procedures. He emphasised again that the focus was on “high risk”, with minimal intervention in ‘low risk’ areas, based on pre-arrival data. Both compliance and non-compliance were recognised and there was allowance for trader rewards. The new management system enabled Customs to centralise the clearing of all import, export and cross-border declarations, using a single processing engine. The new automated management system for cargo replaced a variety of systems and paper-based manual administrative processes. By managing Customs declarations and supporting documents in electronic format, the processing of cargo movements by land, sea and air would now be much quicker and more accurate. Mr Ravele said SARS had been focusing on the illicit trade of tobacco for many years. One in four cigarettes smoked in South Africa were illegal products and this equated to more than 29% of the total market. It was estimated that some 15 million cigarettes (equivalent to 750 000 packets of 20s) were sold illegally in the country every day. The revenue loss to the Government was more than R3 billion in excise and VAT annually, and the revenue loss to the legitimate tobacco industry was more than R2 billion. The EU and American sanctions against Zimbabwean tobacco created an opportunity, and porous border lines made it easy to smuggle. SARS had seen Organised Crime Groups (OCGs) move from supplying counterfeits 10 years ago to now managing all aspects of the production process, from sourcing raw tobacco product, through to developing specific tobacco packaging that would generate suitable market interest. Certain groups simply exploited lower cross-border prices of genuine tobacco products and smuggled them to their chosen destinations for sale. In the 2013/14 financial year, SARS performed 6 547 cigarette seizing operations, which constituted to 173 million cigarettes with a value of R109 million. Undervalued imports pose a significant risk not only to the fiscus but to local industry and job creation. This issue had been raised with South Africa’s BRICS counterparts, because of the legislation China had in place that prohibited the successful prosecution of Chinese importers who undervalued clothing and textiles. Lesotho had also begun to pose problems with undervalued imports. SARS had been working well with other Government departments and had been supported by dti and Department of Home Affairs in joint ventures. Mr Macpherson said he was a bit concerned that operational capacity had only been enforced at two airports and he asked if any private airports were included. He referred to the SARS presentation and he asked if Mauritius should not be viewed as the country with the second highest undervalued imports. A look at the database would show that many more garments and materials were labelled as ‘made in Mauritius’ than this country had capacity to produce. Unfinished fabric was sent from China to Mauritius where it was dyed and manufactured and labelled as ‘made in Mauritius’. This was a big problem and the Southern African Development community (SADC) agreement was being totally abused by China, through Mauritius, Lesotho and Swaziland. Mr Asogan Moodley, Chief Executive Officer, NRCS, said the risk assessment had just been done on King Shaka Airport, because of the Dube Trade Zone, and its operational capacity would also be enforced. Mr Ravele said Customs focused on the tariff classification of goods, origin of goods and the value of goods. The presentation only focused on the value of goods, but Mauritius was ranked first when assessing undervalued imports, based on the rules of origin. The SADC protocols were being breached every day and SARS had raised this concern on various platforms, and was hopeful that t would be resolved. Mr Strachan said the operational capacity only referred to the presence of the NRCS, and warned that the Mauritius issue may not be as simplistic as it first seemed. Research showed that the allegations as outlined by Mr Macpherson would be very difficult to prove, because even trade statistics did not paint such a clear picture. The Chairperson said that if there was more proof or more discussion needed, this should be reduced to writing. Mr Hill-Lewis noted the increase of Chinese shopping malls around the country, which only accepted cash, offered goods at vastly discounted prices that undercut South African competitors, and the staff did not speak English. Whilst this alone did not suggest illegal immigration, he wondered why the malls were allowed to operate, and why SARS and Customs were not investigating them. Mr Ravele said SARS had joint operations with SAPS and Home Affairs in Johannesburg and Cape Town last year, where containers were seized from these malls that could not be accounted for. It was, even then, difficult to label the goods as counterfeit, because they were not labelled. The stores were asked for the original import documentation, and whilst it was not necessarily expected that the retailer should have this documentation, it usually trace back to the importer. It was outside the mandate of SARS to investigate whether there was compliance with the migration laws of South Africa, although this was linked to how some of the shops were able to be acquired. Some of these issues needed to be addressed at legislative level. Mr Mkongi asked if there was a problem with substandard goods being produced in South Africa and, if so, what was being done about it. Mr Moodley said regulated products needed to comply with compulsory specifications. Source specifications, at either the point of entry or the point of manufacturing, were conducted. Locally produced products were inspected at the manufacturing site to make sure they complied with technical regulations and compulsory specifications. These inspections did not talk to the quality of the goods, but rather to the safety. The NRCS worked with the National Consumer Commission (NCC) and substandard goods would be referred to the Commission for investigation.